This advice is ideal for those of you who are thinking about starting an archery equipment and supplies dealership. This is a must-read before you begin your venture. We've assembled our helpful tips on how to go about opening an archery equipment and supplies dealership. In the U.S., archery is a major outdoor sport. Although some of your archery equipment dealership's business will come from target competitors, most of your product line will be geared toward the nation's 3+ million bowhunters. Both bowhunters and competitive shooters are willing to invest significant resources in their sport. Your customers will recognize quality brands and products when they see them, so it's important to stock bows and supplies from major manufacturers like Mathews, Hoyt, PSE, Martin and other industry players. Archery customers are atypical retail consumers. They aren't satisfied with simply buying a bow off the shelf. When they invest hundreds if not thousands in a new bow, they expect to be allowed to test-fire several models and have their new bow custom configured to their specifications. In other words, you'll need to emphasize customer service as a selling point in your startup. That means archery equipment startups need to staff at least one qualified bow technician, and equip the operation with a bowpress and other tools that are required for bow repair and setup. You'll also need to have a shooting range (usually indoor) so customers can test your products. Although the shooting range can serve multiple purposes, it should always be available for buying customers. Many archery retailers generate store traffic and additional revenue by hosting leagues and special events. It's not uncommon for a single archery equipment store to host multiple weekly leagues, hunter's education classes, competitive events and other opportunities for archery enthusiasts to participate in the sport. Leagues and events can be a lot of fun. But your primary motivation for hosting these opportunities is strictly entrepreneurial. The idea is to create a community of archery enthusiasts around your business. When community members participate in events, they get greater enjoyment from the sport and inevitably purchase additional bows, arrows and other equipment from your startup. The idea of writing a business plan is intimidating to most aspiring archery equipment and supplies dealership owners. A robust business plan is essential nonetheless because it serves a number of purposes, not the least of which is the ability to influence lenders, investors and strategic partners. To optimize the impact of your plan, it's important to consider a distribution strategy. Without exception, the most effective business plans also leverage an organized process for tracking business plan distribution. Well in advance of opening an archery equipment and supplies dealership in your area, it's a good idea to find out how strong the competition is. Use the link below to find competitors near you. After following the link, enter your city, state and zip code to get a list of archery equipment and supplies dealerships in your area. After you've evaluated your local competitors, it's a wise move to speak with somebody who is already in the business. If you think owners of nearby archery equipment and supplies dealerships will give you advice, think again. Why would they want to educate a future competitor? However, an entrepreneur who owns an archery equipment and supplies dealership on the other side of the country will be much more likely to talk with you, provided that you won't be directly competing with them. Many business owners are happy to give advice to new entrepreneurs. Our estimate is that you may have to contact many business owners to find one who is willing to share his wisdom with you. Where would you find an entrepreneur who is running an archery equipment and supplies dealership outside of your area who is willing to talk? Startup archery equipment and supplies dealerships typically suffer when it comes to brand recognition because unlike entrenched competitors, new brands lack visibility and history with their customers. However, an archery equipment and supplies dealership acquisition can put you at the helm of a brand that is already highly trusted by your target market. The odds of being a successful business owner are higher if you decide to franchise instead of doing it all on your own. 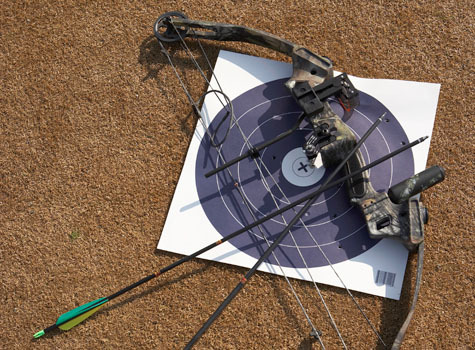 Prior to starting an archery equipment and supplies dealership, you may want to investigate whether there are good franchise opportunities available that might simplify your entering the business. Are You Already an Archery Equipment & Supplies Dealership Owner? Are You Selling to Archery Equipment & Supplies Dealerships?